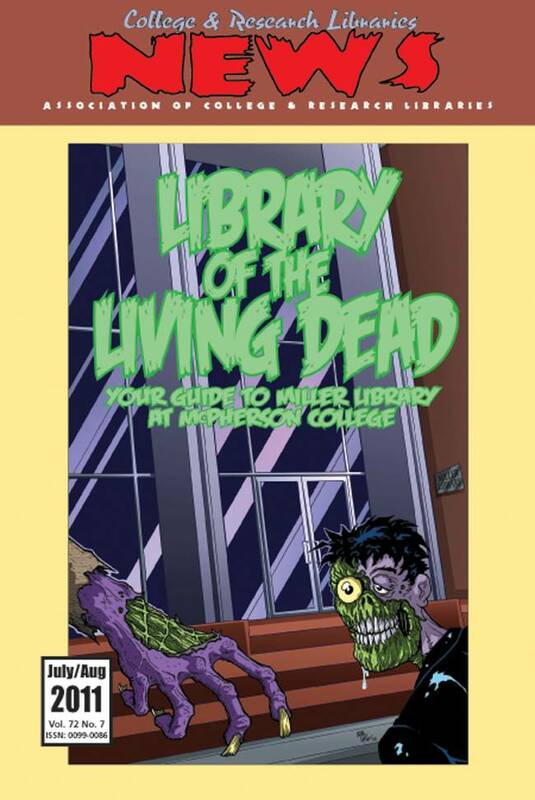 This month’s cover features the cover image of McPherson College’s Library of the Living Dead comic. The library developed this graphic novel guide in order to connect with students in an interesting and unique way. The comic features the story of how information literacy skills can help save the college from a zombie attack, and even help with school assignments. Comic developers Matt Upson and C. Michael Hall (who designed and produced the artwork) discuss the project on page 390 of this month’s issue. The full comic is also available online at http://bit.ly/gFUNmd.